If you've ever tasted outdoor Dutch Oven cooking, you know that mouth-watering goodness that comes with every bite. Having the right tools makes Dutch Oven cooking that much easier. 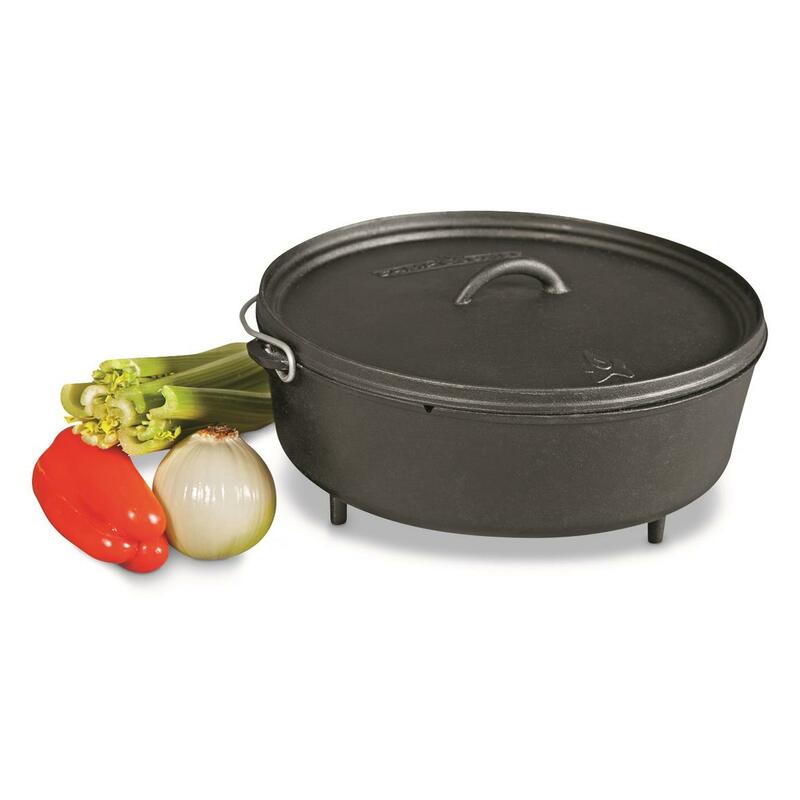 Start off your Cast Iron collection right with a Camp Chef® Classic Dutch Oven. 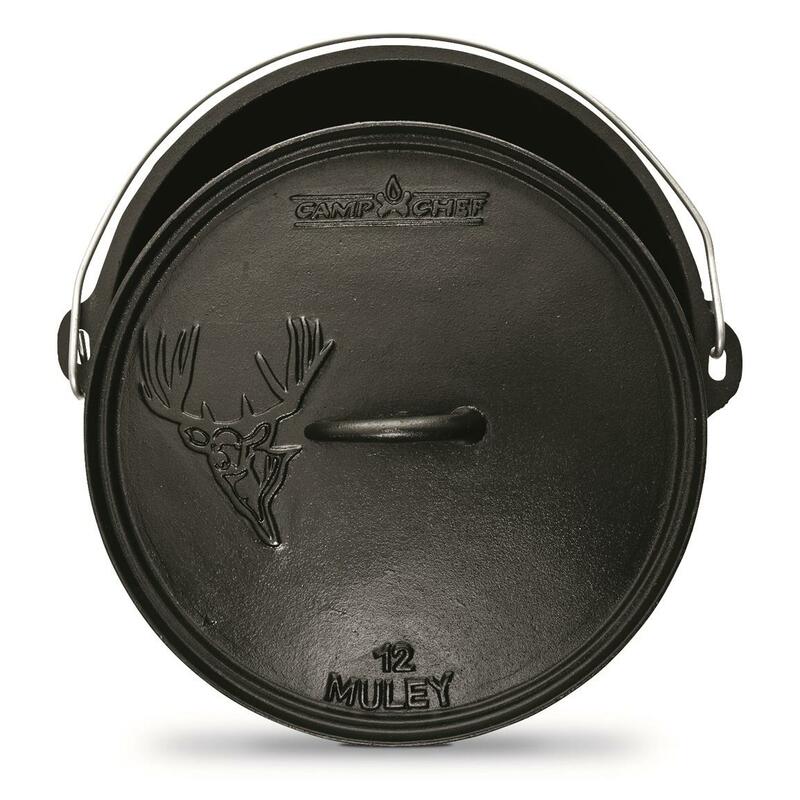 Flange on lid makes it excellent for cooking with charcoal briquettes or wood. Comes pre-seasoned, so you can get cooking right out of the box. Want Cast Iron tips, tricks and recipe ideas? Check out the Dutch Oven Cooking Guide under the "Additional Product Information" tab below. Camp Chef Classic Dutch Oven is rated 5.0 out of 5 by 4. Rated 5 out of 5 by MikeEH from A Great Oven When I saw the size of this beast I got excited, I can cook so many different meals in this thing for large dinner parties. It fits on my 3 Burner really nicely, and still even squeeze in a 2 Burner Grill Box and cook on both at the same time. Looking forward to getting this thing on the camp fire this summer.